If you are lucky to visit the Eastern Province of Saudi Arabia, wandering around its big cities, Dammam and Al Khobar, you will certainly go further to the north to end this tour by visiting the Municipality of Al-Qatif, which stands proudly on the Gulf coast. It includes a number of towns and villages that are spread among the palm trees and along its sand beaches. But the visit will not be sufficient to accommodate the historical civilization, economic and depth of this region of the Tarot without a visit to the Tarut Island, which will lay before you a vast amount of history of the eastern part of Saudi Arabia. Tarut Island located on the west bank of the Arabian Gulf. This is the second largest island along the Gulf coming after “Awal Island", currently known as Al Bahrain. It is located to the east of Al-Qatif in a large container of the bay, surrounded to the east of the coast of Al-Qatif, and to the south the coast of Dammam, while surrounded in the north by Ras Tanura, which is parallel to the island from the eastern side. Tarot Island is one of the largest islands, which lies on the Gulf within the Saudi border. The total area amounts to about 70 square kilometers. Tarut history is date back to pre-5,000 BC. It is considered as one of the most ancient sites that were inhabited by humans, as well as one of the oldest areas along the Arabian Peninsula. The island itself is also one of the components of Al Qatif oasis in the eastern province. The name of the island was taken from Ishtar or Ashtaroot, which refers to (love and war), as was believed by the Babylonians, the Canaanites and Phoenicians. Tarut was the heart of Dulmon Kingdom and had a major role in the history of the region since 3,000 BC. Human habitation in this area over the centuries was very large and archaeological discoveries were found until recently, which is rare in most parts of the world's archaeological sites. The Island had a significant role in trade activity in the entire Gulf region. It was a central point for trade between Mesopotamia and along the coastal areas in the east of the Arabian Peninsula. Its strong relationships with many of the urbanized areas along the region were well known. It is located in the center of Tarut Island at the edge of Derah quarter. The castle was built in the period from 1515 to 1521. So far it is unknown who built it, although some archeologists suggest that it was built by the residents of Qatif and Tarot to protect them from Portuguese attacks, while some researchers indicate that the castle was built by the Portuguese to protect themselves from Turkish attacks, but they were forced to hand it over in 1559 and they withdrew from the Tarut island of to Awal Island, (now Bahrain). The castle is consisting of 4 towers. Its courtyard is a rectangle with a central deep well, which is believed to be used to store provisions during the times of blockage. King Abdul Aziz Dara is enjoying a lot of archaeological material of historical significance, which was discovered at the tarot Heritage Palace. The later found material is an ancient army cannon going dating back to the same time, which is currently being shown in the Dammam Regional Museum. Tarut Island represents one of the most important sea ports in all parts of Saudi Arabia. In ancient times, the island was a vital seaport to receive boats from the Arabian Gulf and Indian Ocean. Tarot was a metropolis on the island, which took its name from its castle, which is located in the heart of the island, surrounded by small villages. 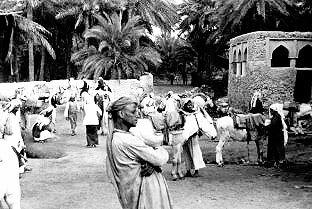 Tarut Center at the present time is known as Al Dera, which represents a major administrative center of the villages during different periods. Al Dira County Quarter is the oldest Quarter on the island dating back to Phoenician times, where you can see the adjacent stone and mud buildings crisscrossed by narrow streets and corridors. Wandering through the streets will remind you of the fragrance of historical periods of the ancient place. 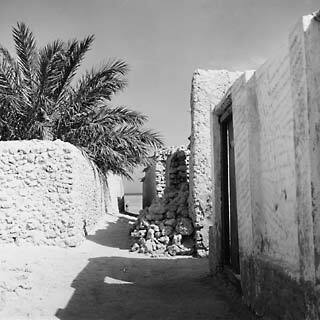 Al Dira was surrounded by a fence for the purpose of protection from attacks by invaders. To its east side it is adjoined by the Tarut castle, which is considered as a well-fortified castle on the island. The castle is located on a tall hill, which is the highest place on the island. The Island consists of Ain Tarut. In the early times, that was the only source of water on the island, and it is known as "Hamam Tarut”, the Tarut Bath. 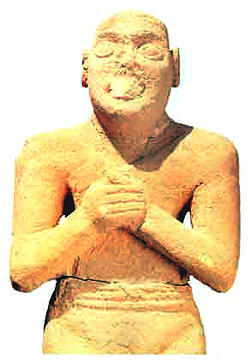 The most important collections found in the Tarut was pure golden statue representing (Ashtaroot) goddess. The statue was found placed on the ground in one of the palm groves in the Tarot. There are many other statues, copper and pottery vessels and traditional weapons found in the Tarut that are displayed in the Riyadh Museum. It also contains a Portuguese fort which is located in Al Derah. The Portuguese castle was repaired in the 951H, which had been built on the ruins of former settlements and one of the oldest ones, dating back to over 5,000 years ago. The site consists of the Fortress of Al-Sheikh Muhammad bin Abdul Wahhab Al Fehani, which was built in 1303H as well as the Fortress of Abu Al-leaf, which is located between the Tarot and Al Qatif, in addition to the three mosques on the old road from of Al Qatif. A quick tour by car through the Tarut quarters you will be in close touch with the quantum leap that has been made in every aspect of life. In the beginning of your tour you will come close to the new bridge which will lead you to Al Qateef Corniche and to the heart of the Tarut Island. This bridge is the second one that links to the suburban areas of Tarot Island. Work is underway to build the third bridge which will connect the island along with Dareen to Dammam monopoly. During your tour, you will be interrupted by the Darren Cornish, which was built in the latest construction style, which represents the modern interface as well as a warm place for families gathering. Then you will find yourself face to face with Darren port that with fishing boats parked alongside. In the end, the Tarut Island has a unique personality that will hold in awe and admiration having come to it once.